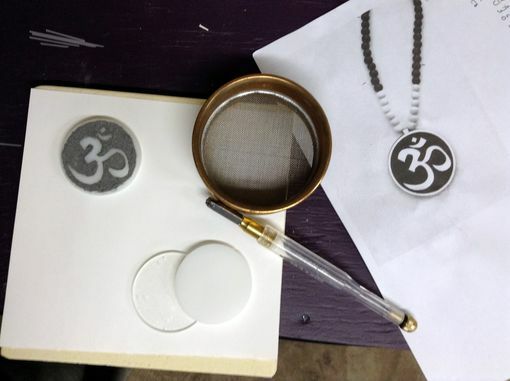 The om pendant was created for a custom made client. 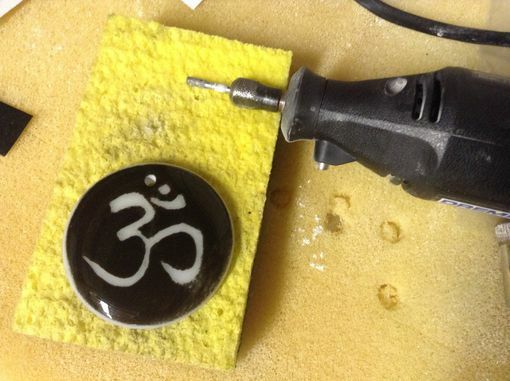 By using the desired symbol, I made a fused glass medallion in black and white glass. The pendant was added to a 28" beaded necklace that I strung using round quartz beads and black wooden beads. I bought one of these necklaces for my girlfriend (who has a metal allergy) for Christmas and she loved it! Supplier was amazing at communications and providing options at various costs. I recommend!